We invite you to tell us how we’re doing. Feel free to remain anonymous or, if you’d like a response leave your name and tell us how we may contact you. Did the class begin and end on time? Did the class include adequate warm-up and cool down? Were the postures appropriate for the type of class? Did the teacher give clear directions or demonstrations of the postures? Was the music appropriate in pace, type and level? Were appropriate modifications of the postures offered when necessary? Did the teacher display an open, friendly, and helpful attitude? Was the studio clean and tidy? What do you like best about this class? About this instructor? Do you have any suggestions for improvement of this class? Do you have any suggestions regarding our class offerings, generally? Are there class times or yoga styles that you would like to see added to or expanded in our schedule? Please be specific. Our goal is to provide classes you want and the times you want them! 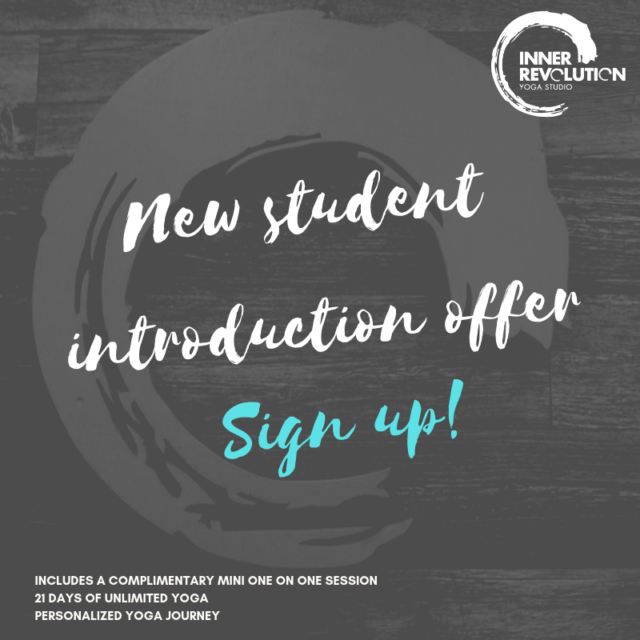 If you have had a great experience at Inner Revolution would you please review us on google under Inner Revolution Yoga Studio?